Since From the Barrio to the Board Room was first launched, Robert and the From the Barrio Foundation have dedicated their time and energy to helping schools, churches, youth prisons and other community based organizations to utilize the book as a teaching tool. 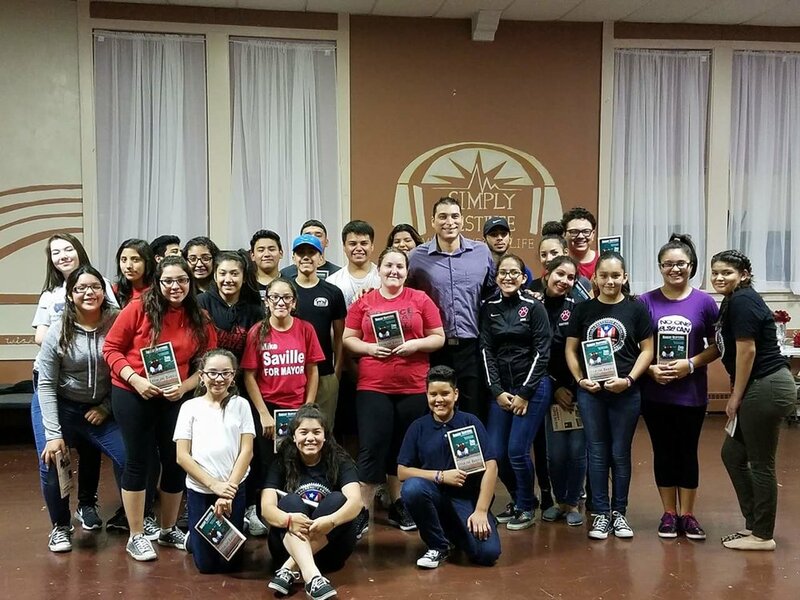 The From the Barrio to the Classroom curriculum was developed so program participants could apply Robert’s experiences and choices to their own life. The end result is an increased focus on education, with more emphasis on pride, accomplishment, and hard work. In addition to the books and curriculum appearances by Robert have been an incredible addition to the experience kids are having with the program. Seeing him an accessible role model leaves a lasting impression. Now, with the announcement of Robert as the 2010 Chicago Latino Professional of the Year and the launch of the comic book Mi Barrio and the new activity coloring book Little Barrio, Robert and the Barrio Foundation, are redoubling their efforts to reach readers through in-person presentations and workshops. Now is the time for Robert, and the Foundation to work directly with you. Throughout 2018, Robert will be making appearances around the country to deepen the impact of the Foundation and its programs and to make a bigger difference in the lives of our youth.